Cork is one of Europe's most traditional and versatile raw materials. Its latest discovery in Haute Couture is set to revolutionise the world's vision of sustainable fashion. LE SURI is at the forefront of this change. We are the first label to create unique bags using 100% cork, combining contemporary design with traditional high quality materials. 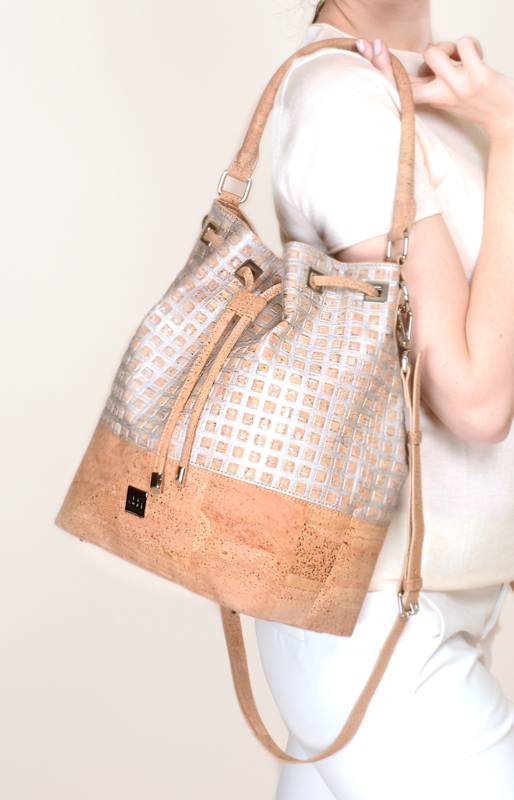 All LE SURI bags are crafted from cork textile, originating from the bark of the cork oak tree and transformed using an innovative processing technique. Sign up with your email address and be sure to receive all the recent news about our brand and special offers. We respect your privacy and do not share your data with anyone. Thank you for signing up! Please confirm the subscription by clicking on the link we have sent on your email. LE SURI - Premium handbags from cork.